Successfully saved 1-Hour Fall Pot Pies to your Calendar. You can also save the ingredients to your Grocery List. 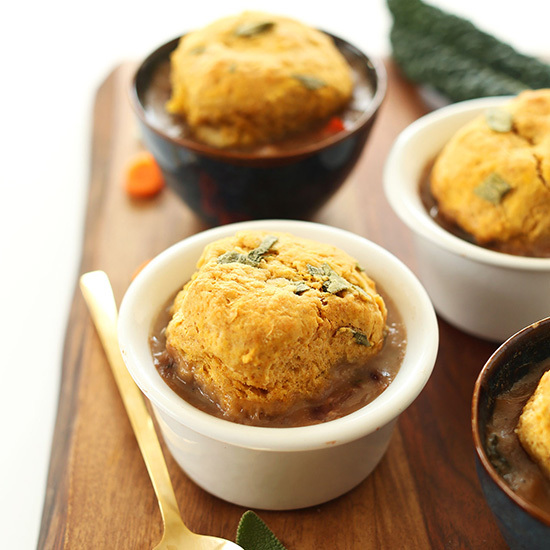 Simple, 1-hour vegan pot pies with fall vegetables, topped with pumpkin sage biscuits! Comforting, savory, and perfect for chilly weather.